Reservation Policy: Reservations may be made by phone 207.883.4417 from 8am until 10pm daily. A one night deposit is required to hold each reservation. 2 night deposits will be required for any reservation of 8 nights or more.) Deposits may be made with Visa, MasterCard or American Express. Cancellation Policy: There is a $50 cancellation for any cancellation or reservation change, once initial reservation has been made. Reservation deposits may be returned (less the $50 fee) for cancellations made prior to twenty one (21) days of arrival date. Deposits will not be returned for cancellations made within twenty one (21) days of arrival date. Bed & Breakfast accommodations feature unique, beautiful rooms. Almost all have ocean views, some have shared decks. 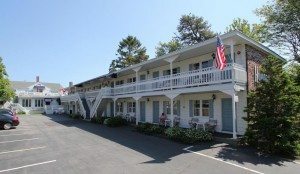 All offer complimentary continental breakfast, private bath, air conditioning, television, and free wireless internet. You can see panoramas of some of these rooms on our Virtual Tour page.